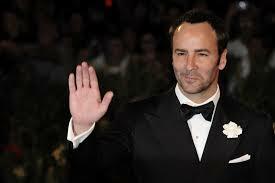 Fashion designer and genius artist/writer/film director, Tom Ford, is a closet introvert. Only he’s out of the closet now. But people still think he loves to party. He admitted to being a loner in a 2011 The Talks interview. You, too, fall on the spectrum of Introversion if…. You are so outgoing no one (except maybe two people) know that you secretly crave quiet time alone. You literally dance for joy (on the inside) when a meeting of any kind is cancelled. You read more than most people you know. And you wish you had more time to read. 1. You’re already stronger than you think, and other people see this before you do, usually. That’s because at some point, you realized it was worthwhile in some circumstances, to speak up, to garner attention and to be heard. Because of your innate introversion, each time that mildly terrifying act takes tremendous energy. The strength you have developed by learning to act in a way that feels somewhat unnatural, goes against your grain, for a greater good, fuels your persistence in the face of all adversities. In other words, you’re already a Rock Star. 2. You listen. You really listen. Listening is how you learn. You learn how to reach others strategically by hearing what they have to say, and getting the emotional message as well. Intricate or breatkthrough creative solutions don’t come from superficial perusals of the material. While creative breakthroughs typically occur when you are relaxed (in the shower, swimming, etc.,) these innovations happen after you’ve deeply focused on the problem for some time. Look at the life of any innovator, writer or visual artist from any period of time and notice significant quiet time, contemplation and reflection. 4. Because of your reflective nature, you ask better questions. 5. Because you’re more likely to edit what you wrote, quiet professionals write better emails, too! So the Big Question is this. If being an introvert is such a freakin’ blessing, why is everyone trying to act like an extrovert? Answer: It’s a matter of national culture. Consider that the U.S. became a world Super – D – Duper Power about the same time that electronic media took center stage in public life. AT&T ran its first radio commercial in 1922. (Click here to hear related NPR story.) Beginning even before that commercial, electronic media has taken on primary importance in everything, and what kind of personality captivates on radio? What kind of personality makes a compelling television commentator? What kind of public persona wins elections because of political commercials? But if you think about it (and you’re the one who will,) it’s the Quiet Executives who are in the best place. We are stronger, listen better and think deeply, yet are able to act enthusiastically, connect with people and make engaging presentations. The conundrum is to find ways to manage and leverage your energy and your natural strengths without sacrificing your innate personal gifts. The solution: Your imagination is your ultimate secret weapon. Creative conversations can solve problems, engage people, attract money, build profits and in short, make the world a better place.